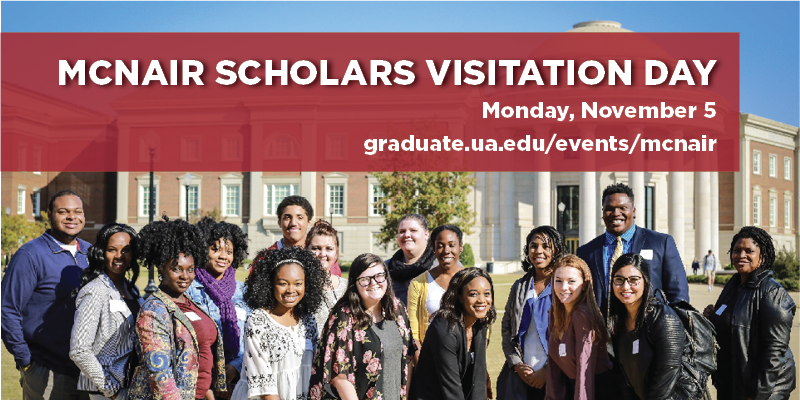 The McNair Scholars Visitation Day is a free event where you will discover your opportunities for graduate study at UA. Learn about fellowships and scholarships. Meet your future program director. Get a feel for what it’s like to be a graduate student at UA by talking to current students. Attend UA’s annual Three-Minute Thesis Competition. This will give participants the opportunity to see the wide range of research being done by students at The University of Alabama. Be one of the first 20 McNair Scholars to register for this event, and you’ll be eligible for reimbursement of your travel expenses up to $250.